In a novel of stunning dimensions, the acclaimed author of the MARS trilogy brings us the story of the incredible life -- and death -- of Galileo, the First Scientist. Late Renaissance Italy still abounds in alchemy and Aristotle, yet it trembles on the brink of the modern world. Galileo's new telescope encapsulates all the contradictions of this emerging reality. Then one night a stranger presents a different kind of telescope for Galileo to peer through. Galileo is not sure if he is in a dream, an enchantment, a vision, or something else as yet undefined. The blasted wasteland he sees when he points the telescope at Jupiter, of harsh yellows and reds and blacks, looks just like hell as described by the Catholic church, and Galileo is a devout Catholic. But he's also a scientist, perhaps the very first in history. What he's looking at is the future, the world of Jovian humans three thousand years hence. 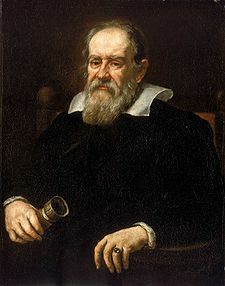 He is looking at Jupiter from the vantage point of one of its moons whose inhabitants maintain that Galileo has to succeed in his own world for their history to come to pass. Their ability to reach back into the past and call Galileo "into resonance" with the later time is an action that will have implications for both periods, and those in between, like our own. By day Galileo's life unfurls in early seventeenth century Italy, leading inexorably to his trial for heresy. By night Galileo struggles to be a kind of sage, or an arbiter in a conflict ...but understanding what that conflict might be is no easy matter, and resolving his double life is even harder. 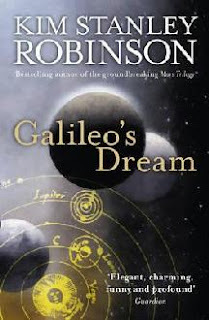 This sumptuous, gloriously thought-provoking and suspenseful novel recalls Robinson's magnificent Mars books as well as bringing to us Galileo as we have always wanted to know him, in full.